People of all ideologies, including separatists, should resist the “onslaught” on the constitutional guarantee to the state, said Mehbooba Mufti. New Delhi : The Article 35A of the Constitution talks about the 'permanent residents, their special rights and privileges in the Jammu and Kashmir state of India. The Supreme Court will hear the challenges under Article 35A and the court hearing will continue till Feb 28. 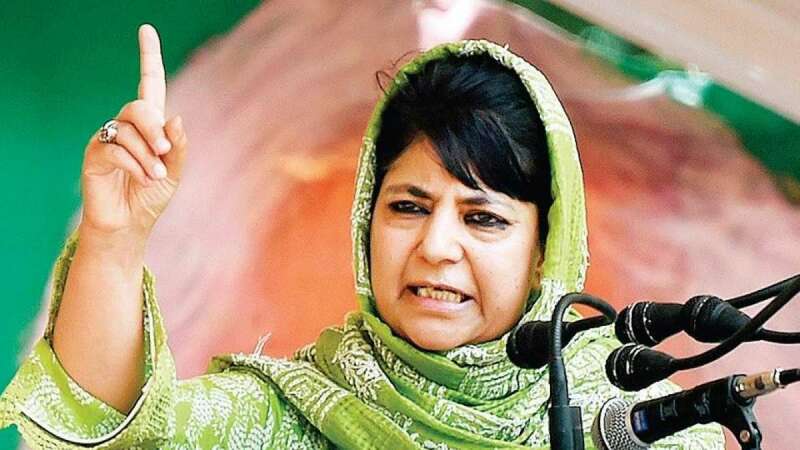 Meanwhile, the Mehbooba Mufti, the president of Peoples Democratic Party said all regional political parties in Jammu and Kashmir must sit together and find strategy to save Article 35A of the Constitution. People of all ideologies, including separatists, should resist the “onslaught” on the constitutional guarantee to the state, she said. “I want to tell all regional political parties that I am in contact with Omar Abdullah sahab on the issue. If there is an attack on Article 35A then I don’t know which flag people of Jammu and Kashmir will be forced to raise instead of the tricolour. Don’t push the people of Jammu and Kashmir to the wall,” Mufti said at a press conference. “I would like to appeal to National Conference and Congress as well as leaders like (Yusuf) Tarigami sahib (CPI-M) and Engineer Rashid to sit together and decide what has to be done and how,” she said. All, including separatists, will have to come together. We all will have to resist this,” she said, adding that the biggest priority right now “is our identity”. On May 14, 2018, the SC rejected to hear the petitions challenging Article 35A. The Centre told the bench that the matter is very sensitive and since the interlocutor is making efforts for a solution, the court should not pass any interim order at present as it could be counterproductive. Meanwhile, BJP has criticised the Article saying that it encourages alienation, deepens the concept of a separate identity and creates a political gap between J& K and the rest of India.